Experimental results suggesting that the Lifespans Soft Hip Implant (featuring Soft Tip Technology*) reduces migration by up to 70% versus typical sliding hip screws. * Technology developed by the Lifespans team at the University of Hong Kong, and exclusively licensed to Lifespans, Ltd. Experimental results suggesting that typical locking / pedicle screws featuring Lifespans Soft Thread** Technology reduces migration by 10-20% versus typical screws. ** Technology developed by Dr. Feng Xiaoreng and the Lifespans team at the University of Hong Kong, and exclusively licensed to Lifespans, Ltd.
Kulper, S. A., Fang, C. X., Ren, X., Guo, M., Sze, K. Y., Leung, F. K., & Lu, W. W. (2018). 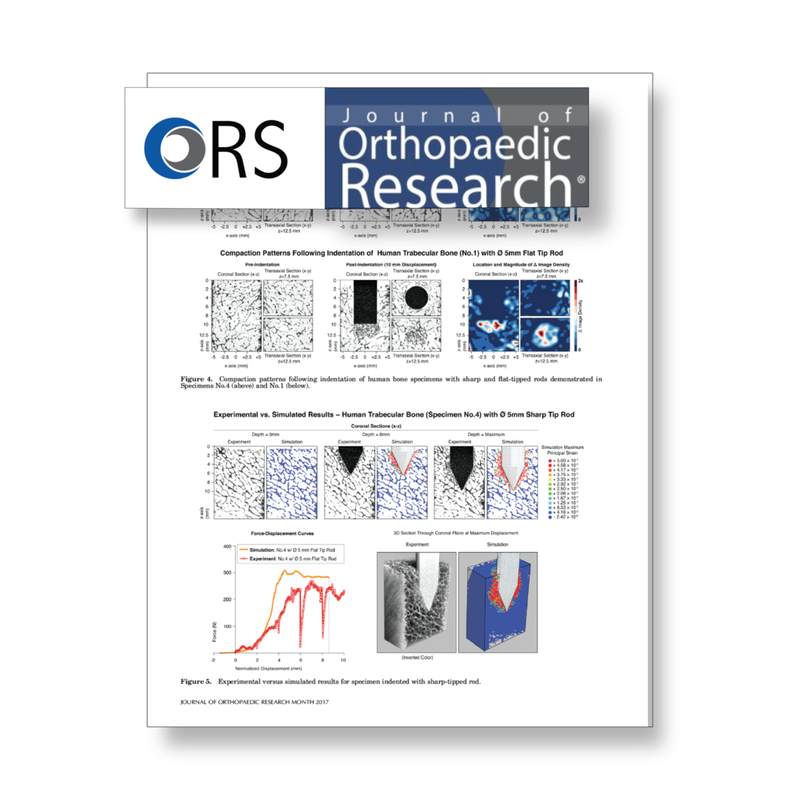 Development and initial validation of a novel smoothed‐particle hydrodynamics‐based simulation model of trabecular bone penetration by metallic implants. Journal of Orthopaedic Research®, 36(4), 1114-1123. Kulper, S.A., Sze, K.Y., Fang, C.X., Ren, X., Guo, M., Schneider, K., Leung, F., Lu, W. and Ngan, A. (2018). A novel fracture mechanics model explaining the axial penetration of bone-like porous, compressible solids by various orthopaedic implant tips. Journal of the Mechanical Behavior of Biomedical Materials, 80, 128-136.